A deserted coastline, a dramatic sky heavy with rain. 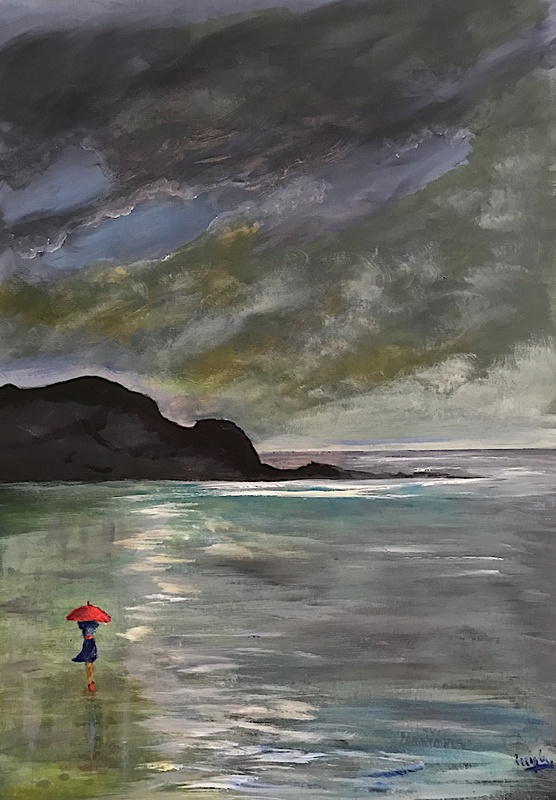 Greys and blue describe a calm sea, where a lady walks toward the headland with a red umbrella. Original work sold, but a number of signed prints are available.